Coptic Christians chant slogans during a protest outside the St. Mark Cathedral complex in central Cairo following a deadly bombing Sunday. 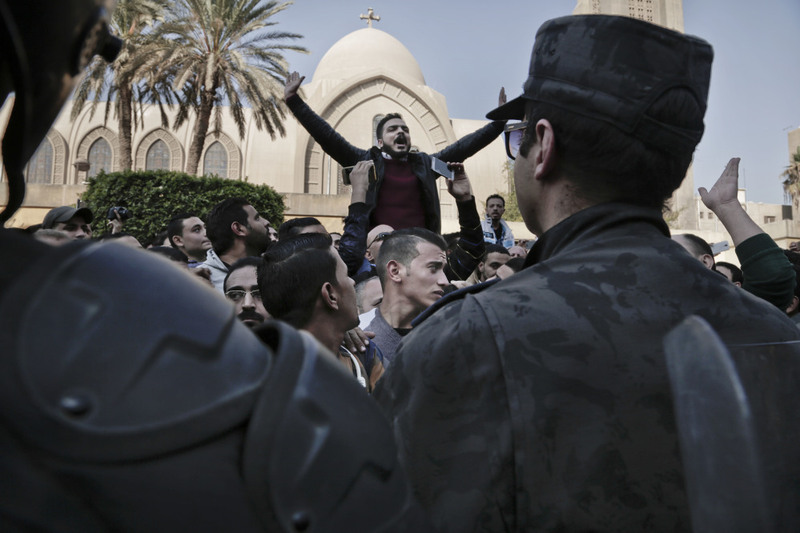 Coptic Christians chant slogans during a protest outside the St. Mark Cathedral in central Cairo, following a deadly bombing, Sunday, Dec. 11, 2016. The blast at Egypt’s main Coptic Christian cathedral killed dozens of people and wounded many others on Sunday, according to Egyptian state television, making it one of the deadliest attacks carried out against the religious minority in recent memory.